9000 businesses have been relying on Eureka Conferencing since 2007. Here's what some of them have said about their experience with us. Extremely convenient to use, good value, and excellent support from your people. It's fast, simple and easy to use. Help is always on hand! Ease-of-use of the teleconferencing service and the friendly and co-operative staff who are prepared to go that extra mile in delivering qualty customer service. Staff at Eureka are fantastic - it literally took minutes to set up the facility. 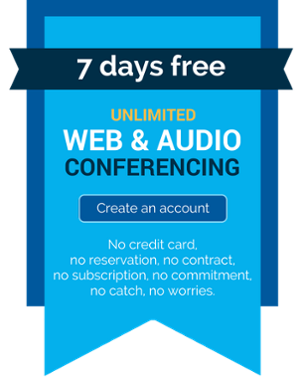 Has been very useful with different conference calls being made from all over the world. I only wish we had done this sooner. The system has worked without fault so far but what I've really been impressed with is the customer service - staff are always extremely prompt with my queries and always give a comprehensive reply. Eureka Conferencing has been great for our company as it is user-friendly with a clear connection, making it the only conferencing company that we have used for many years. I would highly recommend Eureka for this reason. Easy to use conferencing system, great support and as a company with international projects we haven't experienced any issues at all when using Eureka. Very cost effective great pricing. Nothing is ever too much trouble if I need to call for help. Everything runs smoothly, pricing is very reasonable. I wouldn't change a thing.